This hamsa pendant is made of two tone 14k gold. Sleek and modern this hamsa hand pendant has the traditional symbolism along with a contemporary look. For centuries the hamsa has been the traditional amulet for protection and good luck. 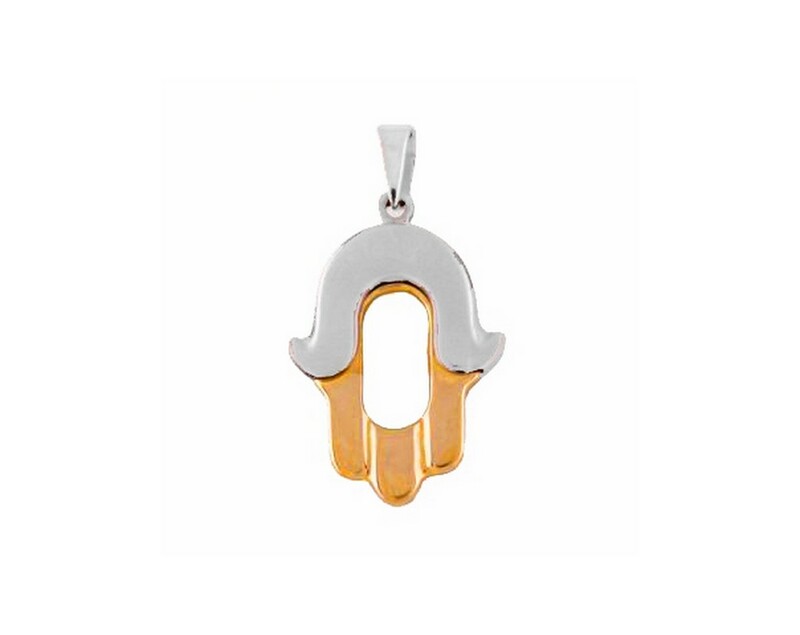 Hamsa pendant is a great gift for a bar/bat mitzvah, birthday or any special occasion. This pendant makes a wonderful gift as it gives the recipient a cherished feeling of love and protection. Necklace chains are sold separately. To view our extensive collection of necklace chains, click here.